One of the biggest problems that is plaguing mankind as a whole is the gradual and, of course, alarming destruction on the environment. Rapid industrial growth, population boom and urbanization in the last century has led to the production of all sorts of waste materials which have already filled up all the landfills to the brim, polluted the water bodies beyond comprehension and even made the air dangerous to breathe in. Even though it took long enough for humans to realize that there is only one planet that we have and it is dying, and even though, necessary measures have been commenced to get a check on this terrible situation, things hardly seem enough to rectify the damage that has already been done. All we can do is hope that things do not get any worse from here onwards. And for that the most effective , and undoubtedly the most important, thing to do would be to invest in proper waste management services. Segregation, containment, transportation and processing – these are the main processes comprising waste management services. 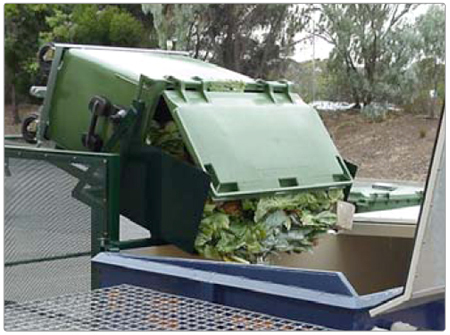 Now, it goes without saying that proper waste management necessitates the use of adequate equipments. With only the use of these equipments that it is possible to optimize the entire process and thereby, render it all the more beneficial for all parties involved, but mostly the environment. It is understandable here that the services of certified waste management companies are to be employed if the process is to be made effective. This does not, however, mean that one has to give up on the little bit of waste management they conduct at home. Understanding the processes of reduction, reuse and recycling has to be understood clearly to make waste management services, whether domestic or industrial, a lot simpler. In fact, most reputed waste management companies make it a point to inform their clients about how they can reduce waste production at their homes and workplaces and how to properly dispose of various kinds of waste. A linked cooperation and adjustments on all levels can surely cure the environment of all its ailments and make this world a healthier place for the generations to come.